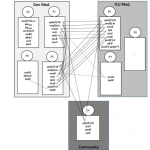 New papers on Microbiology of the Built Environment, August 20, 2016 – microBEnet: the microbiology of the Built Environment network. H5 AIV antibody titer under different hygienic conditions (n = 60). 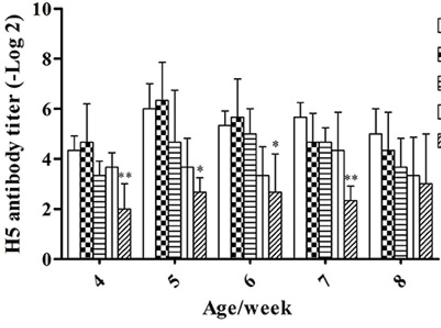 The aim of this study was to evaluate effects of microbial aerosols on immune function of ducks and shed light on the establishment of microbial aerosol concentration standards for poultry. A total of 1800 1-d-old cherry valley ducks were randomly divided into five groups (A, B, C, D, and E) with 360 ducks in each. (…) Concentrations of airborne bacteria, fungi, endotoxin in different groups were created by controlling ventilation and bedding cleaning frequency. (…) The results indicated that a high level of microbial aerosol adversely affected the immune level of meat ducks. 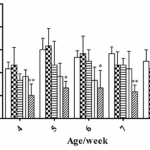 The microbial aerosol values in group D provide a basis for recommending upper limit concentrations of microbial aerosols for healthy meat ducks. 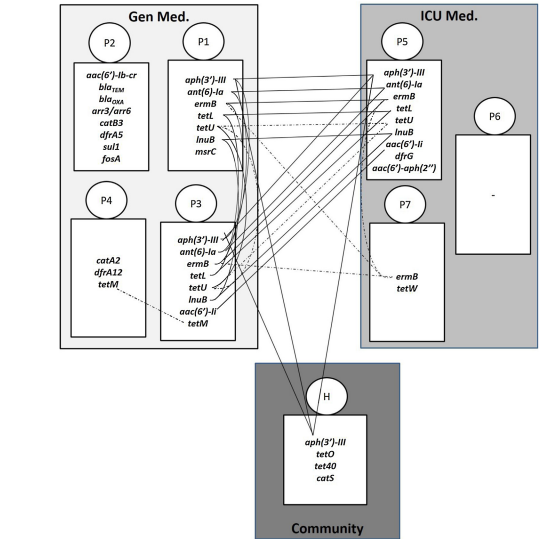 The objectives of this study were to prospectively assess the rectal carriage rate of third-generation cephalosporin-resistant Enterobacteriaceae (3GCREB) in non-ICU patients on hospital admission and to investigate resistance mechanisms and risk factors for carriage. (…) To our knowledge, this is the largest admission prevalence study of 3GCREB in Europe. The observed prevalence of 9.5% 3GCREB carriage was higher than previously reported and differed significantly among centres. In addition to previously identified risk factors, the treatment of GERD proved to be an independent risk factor for 3GCREB colonization. According to National Reference Center for Surveillance of Nosocomial Infections estimates, up to 15,000 patients die of hospital-acquired infections in Germany every year. Here, multidrug-resistant bacteria, against which common antibiotics are no longer effective, play a major role. But where do these pathogens come from? In largest study of its kind in Europe, DZIF scientists from the University of Cologne investigated this question and discovered that almost ten percent of patients admitted into hospitals already bring these dreaded pathogens along with them from home. Plasmid metagenomics reveals multiple antibiotic resistance gene classes among the gut microbiomes of hospitalised patients – Tossawan Jitwasinkul – Journal of Global Antimicrobial Resistance ($31.50). Note: just 1 control sample? 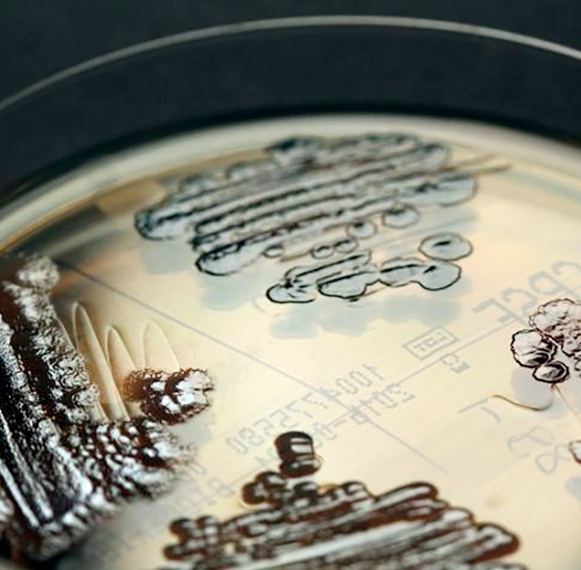 Antibiotic resistance genes are rapidly spread between pathogens and the normal flora, with plasmids playing an important role in their circulation. This study aimed to investigate antibiotic resistance plasmids in the gut microbiome of hospitalised patients. Stool samples were collected from seven inpatients at Siriraj Hospital (Bangkok, Thailand) and were compared with a sample from a healthy volunteer. Plasmids from the gut microbiomes extracted from the stool samples were subjected to high-throughput DNA sequencing (GS Junior). (…) Uncommon genes of hospital origin such as blaTEM-124-like and fosA, which confer resistance to extended-spectrum Î²-lactams and fosfomycin, respectively, were identified. The resistance genes did not match the patients’ drug treatments. In conclusion, several plasmid types were identified in the gut microbiome; however, it was difficult to link these to the antibiotic resistance genes identified. That the antibiotic resistance genes came from hospital and community environments is worrying. 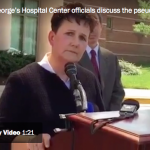 Prince George’s Hospital Center officials say that the potentially deadly bacteria found in the nasal swabs of three of their infant patients was also found in the plumbing of the neonatal intensive care unit and a unit for adult patients. At a news conference on Friday, the president of the Dimensions Healthcare System, the parent company of the hospital center, said that the testing of water samples revealed the presence of pseudomonas bacteria in four sinks in the neonatal intensive care. The findings led hospital officials to the conclusion that the infants were exposed to the bacteria from the water system in the NICU, said Dimensions president Neil Moore. 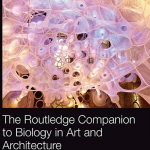 Here in Chapter 12, Krueger explores the minutiae of bacteria and tiny corporeal indwelling within architectural design. Based on the vision of a microbiome-based architecture, this chapter studies how micro-organisms that inhabit both our bodies and environments elicit new possibilities in various aspects of the greater design profession. 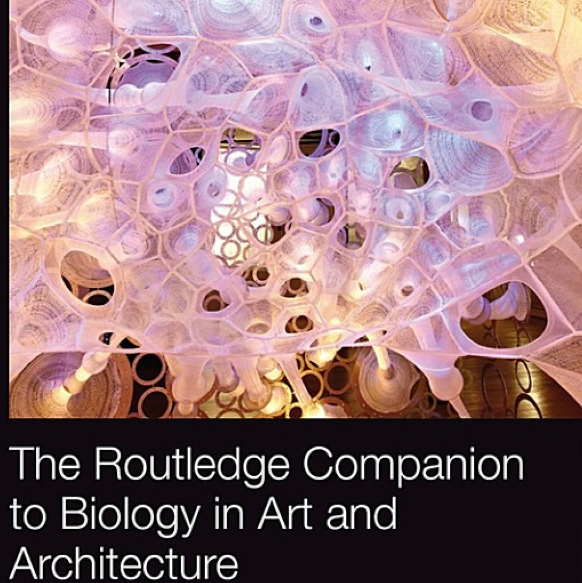 Krueger argues that recognition of the microbiome in architecture offers important opportunities to craft environments that facilitate the growth of particular micro-ecologies of organisms that are invisible to the naked eye. Bacteria are known to catalyze degradation of concrete, and have more recently been used to repair micro-cracks in or form protective biofilms on cement mortar. 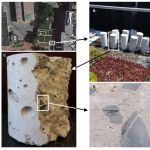 However, the microbial communities in and on concrete under ordinary weathering conditions have not been characterized, in part because of difficulty in extracting DNA from inside concrete specimens. Here, we report a method for extraction of nucleic acids directly from hardened concrete. Using this method and classical cultivation methods, we demonstrate that most bacteria in or on concrete belong to two taxonomic groups, that the bacterial diversity is similar on the concrete surface and in the interior, and that many bacteria in and on concrete are related to microbes found in other dry, saline, or alkaline environments. 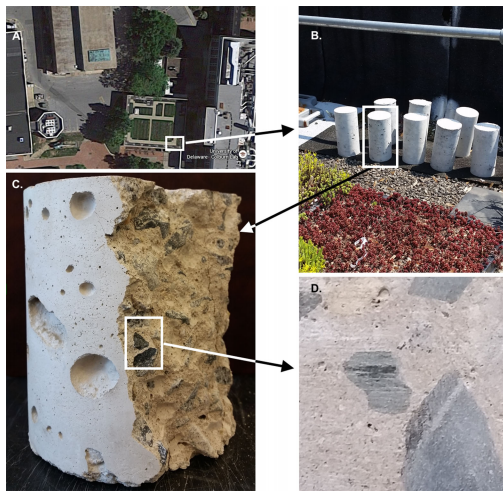 This method lays the foundation for the creation of bioindicators for concrete and may open new avenues for the fields of non-destructive evaluation and assessment of concrete structures. A team of Montana State University researchers has demonstrated the potential for biofilm and mineral-producing bacteria to stop tiny, hard-to-reach leaks in underground oil and gas wells. In a recent successful experiment, researchers from MSU’s Center for Biofilm Engineering used Sporosarcina pasteurii bacteria to seal microscopic fissures in an Alabama test well’s casing, which consists of 9 5/8” metal piping reinforced by cement. 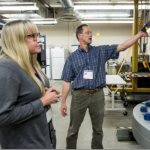 Because such fissures can compromise similar wells used to extract hydrocarbons, the field test results suggest widespread industrial application for the technology. (…) In April, the team, led by Adrienne Phillips, MSU assistant professor in the Department of Civil Engineering and principal investigator of the DOE-sponsored project, injected solutions containing Sporosarcina pasteurii into a section of the test well located approximately 1,020 feet underground.